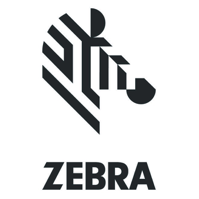 Camarillo Chamber of Commerce announces that Zebra Technologies, a global leader in solutions and services that provide real-time visibility into organizations’ assets, people and transactions, has signed on to be the product sponsor of Startup Weekend Ventura County. Organized by Dignity Health St. John’s Pleasant Valley Hospital (SJPVH), St. John’s Regional Medical Center (SJRMC), and Camarillo Chamber of Commerce, Startup Weekend Ventura County will be held at Rancho Campana High School in Camarillo, California on March 11-13. Startup Weekend Ventura County invites physicians, healthcare professionals, agriculturalists, farmers, programmers, system architects, application designers and entrepreneurs to address healthcare and agriculture needs with innovative Internet of Things (IoT) solutions and to develop proof of concepts in less than 54 hours. Zebra tracking and visibility solutions transform the physical to digital, creating the data streams enterprises need to simplify operations, know more about their businesses, and empower their mobile workforces. Zebra is also a leading provider of patient identity, clinical mobility and Real-time location system (RTLS) solutions. To transfer product knowledge to parties interested in building system solutions, Zebra will host a product boot camp in March at its facility in Agoura Hills, CA. Participants of Startup Weekend Ventura County are invited. To registered, visit Http://startupweekendvc.com.